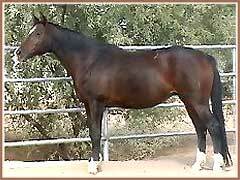 Kalliste joined the Sovereign Farm mare herd in early 2000, along with her stablemate Himmlische. 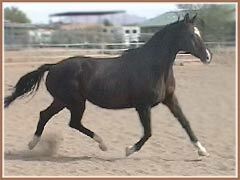 "Listy" possessed uphill and expressive movement as well as excellent Trakehner type and keen intelligence. Listy had three outstanding foals for our farm, including her daughter Kalua, a 2002 filly by Heling. 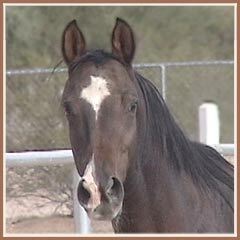 Kalua has replaced her dam in our broodmare band after a successful in-hand show career. Listy also produced the athletic, typey 2003 gelding Kildare, by Impressionist. 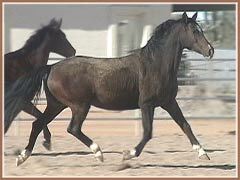 In 2005, Listy produced her last foal, Kairro, by the Grand Prix dressage stallion Leonidas *Pg*.